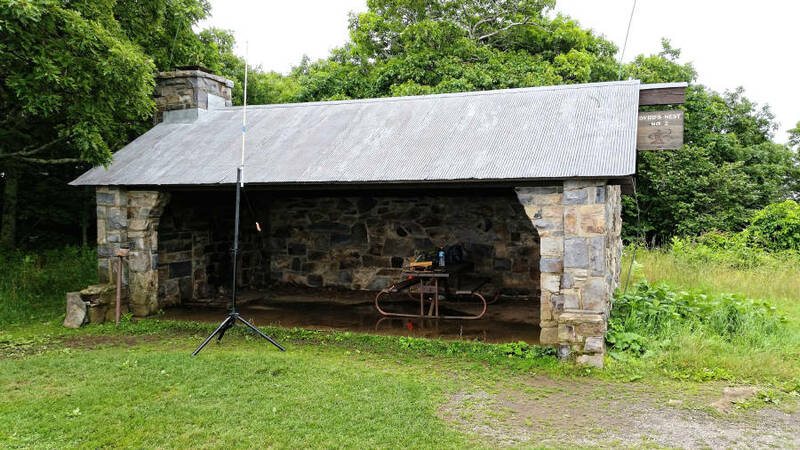 Once again the northern Virginia team (hikers KX4O, W4EON plus logger KD6AKC) took to the mountains in support of the annual amateur radio Appalachian Trail Golden Packet (ATGP) event. The setup was the same as last year including one dual band antenna, a Kenwood TM-D710A (with GPS module) and 10 AH LiFePO battery. The Hawksbill Byrd’s Nest #2 shelter looking east. The Appalachian Trail Golden Packet station six on Hawksbill mountain in the Byrd’s Nest #2 shelter. 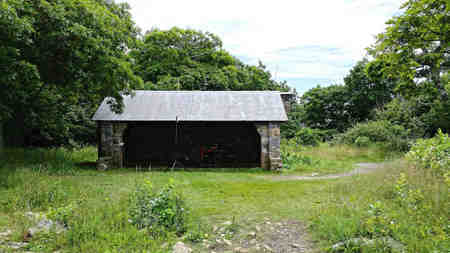 Here is a view from within the shelter showing the modest gear looking west. Golden Packet station #6 in Hawksbill Byrd’s Nest #2 shelter looking west. Our hope was the building and its metal roof would not interfere with the north and south radio links. We were happy to observe this location worked just fine for the purpose of passing the VHF packet and communicating voice on UHF to the stations north and south of Hawksbill. Due east of this location, my home station was set to log packets heard on the 144.340 MHz frequency and route them to the Internet and ATGP net control. When the antenna was on the platform like last year, this radio path worked quite well. This year, the building completely blocked eastward progress. 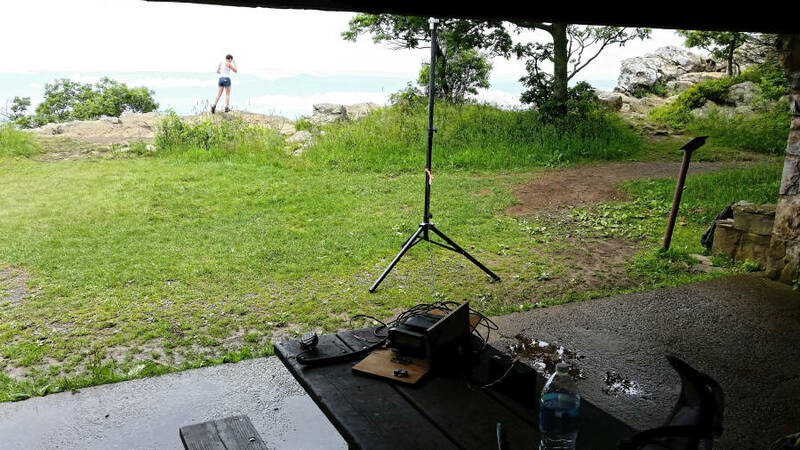 Fortunately, my home station did hear many packets from the station to the north (Maryland Mountains) including those digipeated by our Hawksbill station. KD6AKC also listened for packets at his QTH. Plus the year we got away with operating from the relative comfort of the shelter.